Our new Earthworks Software ZeonEarth which has our own invented 3D Zeon engine where now comes with 3D computation. The main special about our product compare to other earthworks software is the simplicity of product where user can has a count earthworks computation by as short as 5minutes. The short learning curve on earthworks software also make user can be getting started by as short as half an hour. Furthermore, our data fully in CAD format i.e. dwg drawing. It will further cut down double work on data re-entries. 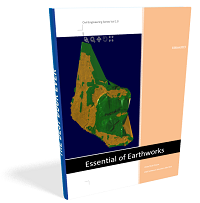 Now our earthworks sofware ZeonEarth comes with three(3) methods of earthworks computation. i.e. 3D computation, grid method and cross section method. It gives user more choice on decision of the earthworks result. Our coming boundary slopes give you further on automation on slope generation. Case Study 2 Integration Zeon Earth with Structural Software. Case Study 1 Zeon Earth. Zeon Earth 2nd edition preview. 3D Slope and wall system. We planned to make this website becomes a full resource with earthworks contents. For example tips and tricks.